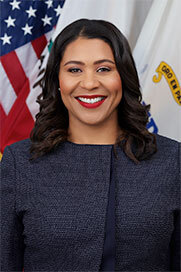 Mayor London N. Breed is the 45th Mayor of the City and County of San Francisco and the first African- American woman Mayor in the City’s history. Prior to being elected by voters in the June 2018 election, she served as Acting Mayor, leading San Francisco following the sudden passing of Mayor Edwin Lee. Mayor Breed is committed to addressing the most critical issues facing San Francisco residents. She is focused on providing care and shelter for the City’s homeless population, creating more housings for residents of all income levels, improving public safety, and supporting San Francisco’s education and public transportation systems. Mayor Breed served as a member of the Board of Supervisors for six years, including the last three years as President of the Board. During her time on the Board, Mayor Breed passed legislation to create more housing along transit corridors and prioritize residents for affordable housing opportunities in their communities. She helped to reform the City’s emergency response systems, fought for funding for San Francisco’s homelessness support network, and enacted the strongest Styrofoam ban in the country. Mayor Breed is a native San Franciscan, raised by her grandmother in Plaza East Public Housing in the Western Addition. She graduated with honors from Galileo High School and attended the University of California, Davis, earning a Bachelor of Arts degree in Political Science/Public Service with a minor in African American Studies. She went on to earn a Master’s degree in Public Administration from the University of San Francisco. 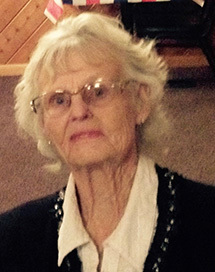 Mary Irene Callanan was born in San Francisco, a proud third generation. She attended St.Paul’s Grammar School and High School in the Noe Valley where she lived for her whole life. Upon graduation from high school she went to work for the Internal Revenue Service and subsequently worked for various departments in the city. She was also attended USF where she earned a degree in accounting as well as a MBA. Moving on she became the Chief Accounting Officer for SFO before being appointed by then Mayor, Dianne Feinstein, to the position of City Treasurer and was re elected by the voters by a huge margin from 1980 to1997. 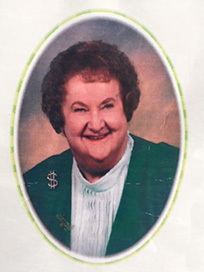 Mary loved people and enjoyed being an active member in a number of organizations, The Young Ladies Institute (YLI) where she served as president for a time, The Three I’s (the Irish, Israeli and Italian Society), and the Ladies Ancient Order of Hibernians (LAOH) a member of Division #3 Fr. Peter Yorke , she served as County and State President as well as the National Treasurer for a period of time. She was also a member of the Rebel Cork Ladies, the United Irish Cultural Center, as well as the Cork Sister City Committee where she served as the first co-chair. In addition, she served on the Board of Regents for St. Ignatius College Prep . In recent times Mary was particularly proud of having been awarded the “Alumnae of the Year by USF. Mary was a charming, witty, intelligent, and talented woman who is greatly missed by many for her impromptu “sing-song” for any occasion. Bernard (Barney) Crotty was born in Dundalk Ireland in 1923 and immigrated shortly after to the States. His father was a brick layer and his grandfather was the founder of the brick layers union in San Francisco circa 1865. He carried the family tradition and went into the brick laying trade as a Hod carrier. 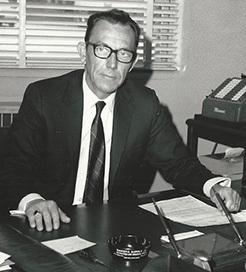 He was the youngest man to ever promote to the superintendent position of street cleaning, sewer repair and urban forestry for the department of Public Works in SF. He suffered a horrific tragedy when he lost his wife Pauline age (40) and 4 children Kathy(13) John(11) Julia(10 )and Peggy(7) when his home on Claremont Blvd in the West Portal District of San Francisco caught fire in the early hours of May 20th 1967. This horrible event shattered the Crotty and Frost families and sent shockwaves through The City, especially the Irish community and the parishioners and students of Saint Brendan’s school where the children attended. Many men have claimed that Barney’s strength was what helped them endure the most challenging and difficult times in their own lives and he was always claimed as their hero. This event would have destroyed most men, but Barney through the support of many close family and friends and his faith in God persevered and was blessed when he was given another chance at life when he met and married Joan Keane. Together they raised their son and daughter Michael and Joanna. 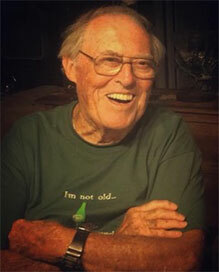 Barney was involved in so many facets and aspects of the San Francisco Irish community. He was a founding member and assisted in the build of the UICC and was the master of ceremonies of the ground breaking and served on the board. He was a member of the three I’s organization (Irish, Italian, Israeli) and many other groups and organizations including forming the Cork Sister City Commission. The years that he was in command of DPW was the golden era for Irish in The City for civil servants. He was heavily involved in the City’s political arena and fought tirelessly for union workers and City retirees’ rights and to preserve our corner of the city in The Sunset. Julia was very active in the Irish community in San Francisco. She was a charter member of the United Irish Cultural Center, United Irish Societies, Rebel Cork Ladies and Ladies Ancient Order of Hibernians. She volunteered for many committees including the Leo T Walsh Scholarship, 32/50, Librarian at the Patrick J Dowling Library as well as many other activities at the United Irish Cultural Center. Her family would like to express their gratitude to the members of the United Irish Societies for honoring her in the 168th St Patrick’s Day Parade. Jack Jordan, was born and raised in San Francisco’s Mission District to Irish born parents. He was a veteran of the Korean War serving four years in the Air Force. Jack married the love of his life Patsy and were married for 60 years before his passing on August 4, 2018. Jack and Patsy were blessed with four beautiful children, John, Geri, Tim and Michael and five grandchildren. Survived by sister Marge (Conn) Hagan and brother Frank. Jack’s contributions to San Francisco and his Irish community were boundless. Jack was one of SFPD’s finest, retiring as Deputy Chief of Police after 29 years of service. He was a proud member of the San Francisco Irish Pipers Band and former president of the UICC. Jack was active in the Rebel Cork, Galway and Mayo Clubs. An ardent athlete with a passion for marathon running and swimming, Jack also played Gaelic football and baseball. Jack also loved spending time on Cobb Mountain at Pine Grove. But most of all Jack was a proud Irish San Francisco Native. Martin McGuinness, Sinn Féin’s chief negotiator in the talks that lead to the Good Friday agreement in 1998 and the ultimate establishment of the first durable power-sharing institutions, was born in the Bogside area of Derry City , the second of seven children. In 1965, at the age of 15, he left the Christian Brothers technical college he attended after failing the 11-plus and he was turned down for a job as a car mechanic because he is Catholic becoming a butcher’s assistant instead. In 1973, he was convicted by the Republic of Ireland’s Special Criminal Court, after being arrested near a car containing 250 pounds of explosives and nearly 5,000 rounds of ammunition. He refused to recognize the court, and was sentenced to six months’ imprisonment. In court, he declared his membership in the Provisional IRA without equivocation: He said ,”We have fought against the killing of our people… I am a member of Óglaigh na hÉireann and very, very proud of it”. In 2007, he became Deputy First Minister alongside Ian Paisley. The bitter adversaries’ strike up a warm and unlikely friendship, earning them the nickname “the chuckle brothers. On 16 September 2011 McGuinness was the Sinn Féin candidate in the 2011 Irish presidential election. In the election held on 27 October, McGuinness placed third in the first preference vote, behind Michael D. Higgins .McGuinness was the only candidate ineligible to vote in the election as, although an Irish citizen, he was resident in the 6 counties , which disqualified him from voting . . Following this, McGuinness formally returned to the role of Deputy First Minister of the North of Ireland on 31 October. In November 2016, a scandal came to light surrounding the Renewable Heat Incentive, an energy incentive championed by Arlene Foster McGuinness and others in Sinn Féin called for Foster (now First Minister) to step aside to allow for independent inquiries, but Foster refused.McGuinness resigned the following day; in his statements to the press, he said “Today is the right time to call a halt to the DUP’s arrogance”, and said that Foster had a “clear conflict of interest” in the affair . 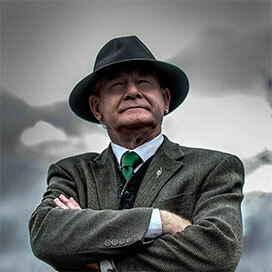 On 6 March 2017 Martin McGuinness was hospitalized at Derry’s Altnagelvin Area Hospital due to ill health and died on 21 March, at the age of 66. Former US President Bill Clinton gave the main Oration at the Mass in St Columbas Church and many other foreign dignitaries attended .Derry City came to a standstill as his coffin ,draped in our national flag was carried through the city. Countless thousands came from all over Ireland and lined the streets to pay their last respects to a true Irish Patriot . Martin McGuiness was laid to rest in the Republican Plot of Derry City Cemetery beside his former Comrades .